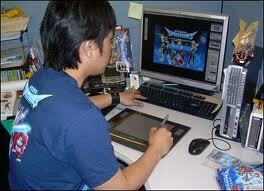 It's every video gamer's dream job, become a video game designer and tester. But it can be sometimes hard to understand what degree or education you need to pursue a career within video game development and game design. When considering a career in video game design, one must understand, or educate themselves to full understand, the computer programming and digital art aspects, as well as the development that goes into preparing the visual art for video games. There is no "defined" degree for video game design at this time, but classes and degrees that fall within the range of computer knowledge as well as visual arts can help you when looking to get into the field of video game design. While there is no specific technical certification or design specialization degrees, a combination of both computer and art degrees can assist you in your job hunt for video game development and design. Traditional majors and minors in these fields will help you obtain your dream job. When looking at schools that offer video game design degrees, you will also broaden your options when it comes to future positions. If you don't want to limit yourself to just video games, computer design and technical development can assist you in finding a career for making graphics and visual effects for the cinema, which can be quite an exciting, entertaining career for those who have the skills to apply. Computer generated graphics can be applied to both movies and video games, so specializing in that during your education could allow you to keep your options open down the line the future of cinema is, like video gaming, expected to grow over the long-term. As with any job you are interested in applying for, it's best to have a background and experience within the field in order to snag the job. And the same applies for a career in video gaming, a passion and experience with video games will help get you the job. Most video game companies will want to know what gaming systems you've used, what your favorite games are, and the genre of games you are familiar with and have played. What better way to educate yourself than to play video games! This is one career where you truly do go to work to play! With the popularity of video games, the industry is definitely becoming a competitive market for those who want to play games for their career and in such a fun, energetic field, who wouldn't want to design video games for a living? It's best to do your research when considering a career in video game and computer-generated graphics and design, and make sure that you get the right education for the aspect of video game design that you are looking to pursue. This way, you can focus on the specifics and be more qualified for the job than someone who just has a generalized degree in visual arts which will put you one step closer to obtaining your dream job in the long run!